You have probably heard the old stereotypes about hearing aids—they whistle, they make everything too loud, they are noisy. But a less common complaint is that they don’t do their job. In other words, people acknowledge that hearing aids do help people hear the sounds that they couldn’t with hearing loss, but the trouble is that hearing aids don’t always make what they hear sound good or as expected. This is because for the past decades, hearing aid manufacturers have focused on restoring the audibility of speech. Of course, being able to hear and understand speech again is usually the first and foremost reason why people buy hearing aids. But, since hearing loss typically occurs over a long time, patients are no longer used to hearing certain sounds. As a result, when these sounds are amplified by the hearing aids to help them hear and understand speech better, they perceive the result as excessively loud or unnatural. Because audibility is so important, hearing care professionals have typically counseled their patients to tolerate the less-than-ideal sound quality of their new hearing aids. Patients were told that learning to hear again takes time, and they will eventually become used to how their hearing aids sound. Nevertheless, hearing aid manufacturers and hearing care professionals alike know that sub-optimal sound quality is one of the most common reasons why first-time wearers reject hearing aids. Thankfully, with the advancement of hearing aid technology, manufacturers are finding ways to offer improved sound quality without sacrificing audibility. Following are some of the latest hearing aid improvements to help hearing aids sound as expected, and as natural, as possible. A common problem for first-time hearing aid wearers is how they hear the sound of their own voice through hearing aids. For those who have never tried hearing aids, an approximate analogy would be hearing yourself on voicemail—your voice sounds processed and maybe even a bit jarring. Similarly, new hearing aid wearers often find their voice excessively loud and distracting. A main reason for this is the proximity of your voice to the hearing aids—it is often the loudest sound picked up by the hearing aids and, therefore, duly amplified just like any other sound in the environment. In the past, hearing care professionals have had a hard time solving own voice issues because the hearing aids cannot tell the difference between the wearer’s own voice and any other speaker in the room. If the amplification of the hearing aids is turned down so the patient’s voice no longer sounds too loud, then not enough amplification is applied to all of the important sounds that the wearer needs to hear in the environment. Thanks to recent innovations, some of the latest hearing aids can now be trained to recognize their owner’s voice. As a result, a unique and separate sound processing strategy can be applied to optimize the wearer’s voice without affecting amplification for all the other voice and sound environments. This way, everything—the wearer’s voice and other sound—can be perceived as more natural and pleasant to the patient from the get-go. One of the amazing things about our hearing is that we can “tune out” certain sounds we are not interested in hearing, for example, the refrigerator hum or the even the traffic noise outside the window. We notice these noises at first, but over time, we can push them into the background while we concentrate on other, more relevant sounds. With hearing loss, we gradually stop hearing and come to “forget” these minor but constant noises in the background of our lives. When hearing aids all of a sudden bring these sounds back, they can sound overwhelmingly noisy. This is one of the reasons why new hearing aid wearers sometimes complain that everything sounds too loud. While it still helps for hearing care professionals to remind patients that we’re supposed to hear these sounds and that our brain can be trained to push these into the background again as necessary, technology helps move along that adaptation process. Modern hearing aids have extraordinarily sophisticated technology for identifying and categorizing the different kinds of sounds in our environment. Is it speech, music, or noise? If it’s noise, is it a constant machinery hum? Or a sharp, impulse noise like a clap? Once the noises have been identified, they are cleverly filtered out and minimized without affecting more important sounds, such as speech. The end result is a quieter hearing aid that is a closer approximation of how we hear naturally, and one that is more acceptable to those trying hearing aids for the first time. There are even hearing aids that take the wearer’s individual “hearing profile” into account. Some patients prefer a cleaner, quieter sound impression, while others can tolerate a more nuanced soundscape. These hearing aids use a quick quiz during initial fitting to determine individual preferences and tailor sound processing schemes to better suit each patient. Our eyes perceive distance and allow us to orient ourselves in relation to the world. But did you know that your sense of hearing plays a large role in spatial perception as well? With our eyes closed, we can localize where a sound is coming from. Even more amazing, we can walk blindfolded into a room and accurately estimate its size by relying on our sense of hearing alone. Unfortunately, these abilities also fade away with hearing loss. This is one of the reasons cited for the significantly higher risk of falls for individuals with untreated hearing loss. Unfortunately, traditional hearing aid technology sometimes has to compromise between spatial hearing and better hearing. For example, standard directional microphone technology can pick up sounds that come from the front instead of from behind the wearer. This helps tremendously in noisy situations like restaurants where the patient wants to hear their conversation partner sitting in front of them rather than the conversation from the table behind. By the same token, this also means that the wearer is less aware of acoustic cues coming from behind. In other cases, since our brain relies heavily on loudness cues to detect distance (i.e., softer sounds means it comes from farther away), amplification provided by hearing aids can sometimes distort that sense of acoustic space. Thankfully, with more advanced sound processing strategies, some of the best modern hearing aids no longer have to make that sacrifice. Optimal speech understanding can be achieved while spatial hearing is maintained at the same time. This means that even while you’re concentrating on the conversation with your dinner guest, you are still able to hear the waiter calling from behind. Furthermore, these hearing aids also preserve your sense of distance, so sounds that originate from farther away remain in the distance, while sounds closer by are also perceived as such. With increasing sophistication in the technology and improved understanding of patient needs, hearing aids provide better sound quality in addition to improved speech understanding. These improvements make hearing aids sound more natural and as expected by first-time wearers, while still offering excellent audibility. This in turn makes it easier for first-time wearers to accept hearing aids and ultimately improve their chances of long-term satisfaction. Rebecca Herbig Rebecca Herbig, Au.D., is Manager & Editor of Scientific Marketing for Sivantos USA. 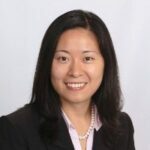 She previously spent five years with Sivantos (then Siemens Audiology Solutions) in Germany and prior to that worked as a clinical audiologist in northern Virginia. Rebecca earned her B.S. in Audiology from the University of Texas in Dallas and an Au.D. from Gallaudet University in Washington, D.C.